The Fabric Collection consists of a variety of classic and modern bedroom furniture made from mixed linens. The Carmen headboard gives off a classic, European feel for those interested in a more traditional style. On the other hand, the Byron Bed has a more subtle, modern look with its straight edged design. 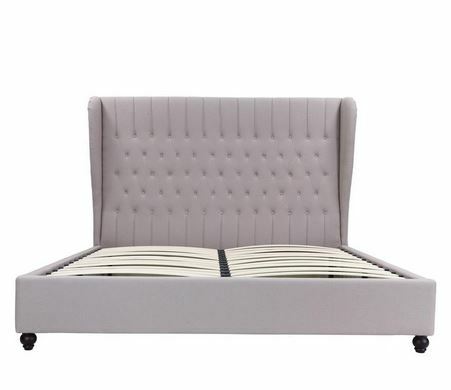 Finally, the Carmen bed mixes both worlds with its modern-straight edged finish and its unique headboard design. The collection is made of tufted fabric and is great for mixing and matching. You can purchase the items in two different finishes, the Antique Lined or Charcoal Grey. The Fabric collection is a great addition to any bedroom and we at LH Imports are proud to present it.